Never did I think two little words would affect me, well, so much. One morning several weeks ago Avery and I were talking about Deran and how he was at work but we were going to do x activity when he got home. Out of the blue she said, "I love my daddy...so much!" 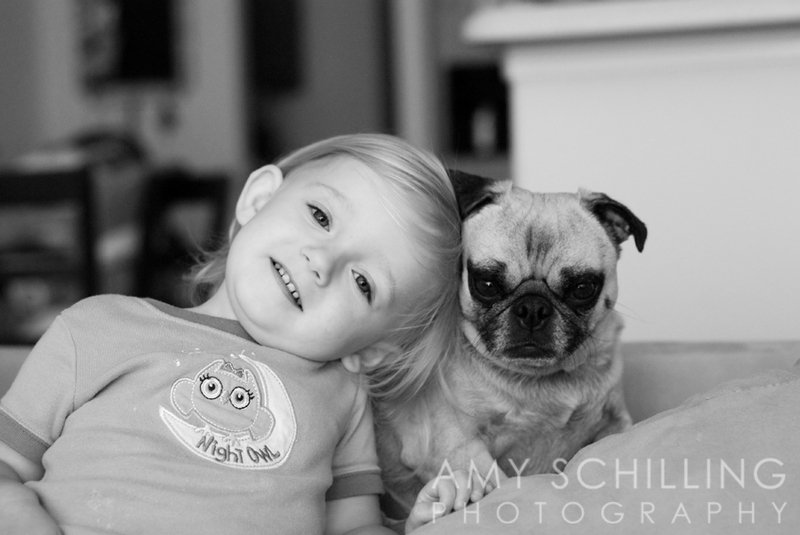 She's since applied it to other relatives, baby dolls, snacks, and even our beloved pugs. 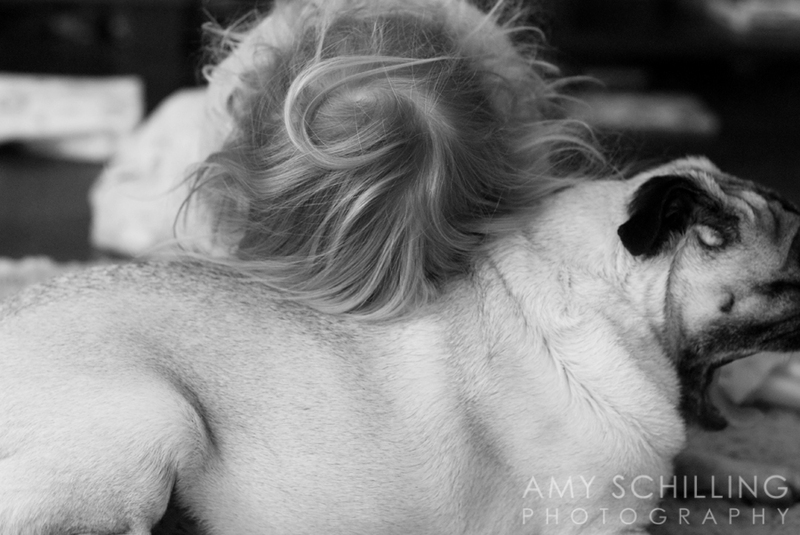 We were hanging out on the couch one morning after breakfast and Avery started harassing hugging Harper and said, "I love Harper so much." All soft and sweet, like she really truly meant it. So I had to get my camera out and take a couple of pictures. Then she hopped down and gave Oscar a little love too. She had some crazy hair that day. Oh my Avery, I love you so much! Tell Avery that "Aunt BB loves her...so much!" Sarah, girls really are so sweet! !